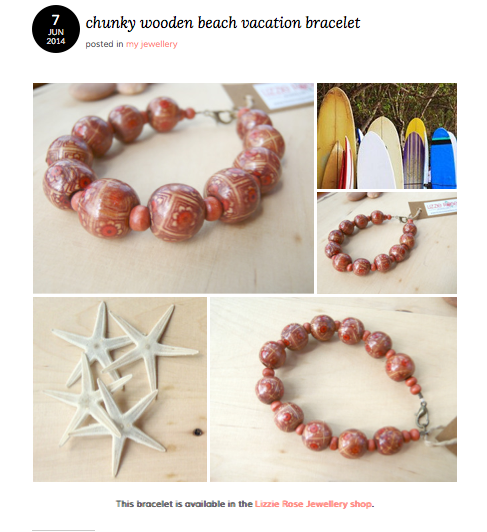 I’m thrilled to have on the blog today Cath from Lizzie Rose Jewellery. I know that a lot of small business owners struggle with blogging – it’s such a potent internet marketing strategy, but it can be really overwhelming. Especially when you read advice online about blogging that isn’t necessarily meant for a small biz, such as you must post really epic, long, educational posts all the time. Sure, posts like that are great, but when you’re not a professional blogger and just running your own little thing, such as a creative business like Cath’s, there is so much that you can be doing with your blog that doesn’t involve tons of writing or tons of research or tons of complication. Read on to learn a little more about Cath’s journey and how she tackles her blog for her awesome small business. Thanks so much for taking the time to talk about your business with us Cath! Could you tell us a little bit about your story to start? How did you come up with the idea for your biz? I have always enjoyed crafts, whether it was knitting dolls or stitching a tapestry as a young girl to model making and painting with my own children, but I’d never considered making jewellery until about nine years ago when I saw a course advertised near my home, which was in Dubai at the time. I went along and was the only person there so I received very personal guidance! I loved it and bought the tools and some beads on the spot. I’ve been making jewellery ever since! Shortly after the course, I moved to Europe and decided it was a good time to have some jewellery parties and hold stalls at various events like Christmas Bazaars. It went well but my main focus was raising my children and so I didn’t pursue it as a ‘proper business’. It wasn’t until I moved out to Singapore in 2009 that I considered selling my jewellery online, I guess times had changed too; my children were older and the opportunity to run an online shop was much easier. I’m not technically minded so it needed to be easy! What’s your favourite part about running your own business? What’s the hardest part? Once you name your business, it feels real. I love the fact that this is my thing and I can do pretty much what I like within it! I would spend time fiddling around with it all day if I got the chance. I love the whole process of creating a piece, taking a carefully positioned photo and then trying to be creative with the wording when listing it. If you don’t have enough time allocated to do this, it can be frustrating. I’m such a perfectionist that if it’s not right, I have to change it until it looks right. I get that from my Dad! The hardest part of running my business is finding the time, to spend time, working on it. I am not a business minded individual and I can get easily distracted! I have to learn to be more dedicated and allocate a portion of each day to it. So hard! What marketing channels do you use for your business? Which have been the most successful? I use Twitter (very badly), Instagram and Pinterest. Instagram is my favourite as I can showcase a piece of jewellery and create a story of what Lizzie Rose Jewellery is all about. All the photos are taken by me and include images from my past travels, things I’m doing at home and of nature, generally creating a feeling of happiness, which is the feeling I want people who wear my jewellery to have. This is a good segue into talking about your blog – I just love what you do with it! I like how you get creative, don’t just use it to promote your business and generally have fun with it. It’s not overly complicated. Your pictures are beautiful. And it’s authentically you :)  First off, how did you get started with blogging? Why did you decide to do it? I continue the same vibe I talked about above on my blog, which I started when I read that you should have a ‘go to’ web place to promote your business and drive traffic to your shop. I had little idea about computer terms so everything I did in the beginning had to be Googled before putting into practice. I worked hard in those early months to learn how to create a blog and to get it looking to a standard I was happy with. Choosing to use Wordpress was a good decision as I find their platform easy to use. I’m still learning various aspects about it now and am no way an expert but I’ve come a long way! Tell us a little more about the type of content that you have on your blog. How did you decide your content strategy? As I just lead a normal life, I don’t really have anything earth shattering to post about, so I blog about where I’ve been visiting, jewellery I’ve been making or listed and the occasional recipe or focus on a shop that I’ve bought from or visited. This has been easier over the past few years as I lived in Singapore, where everywhere is a photo opportunity, especially the lush green tropical areas. There’s still a category on my blog called ‘Life in Singapore’ even though I’ve relocated, as I’m not sure what to change it to yet. Making decisions is not my strong point! 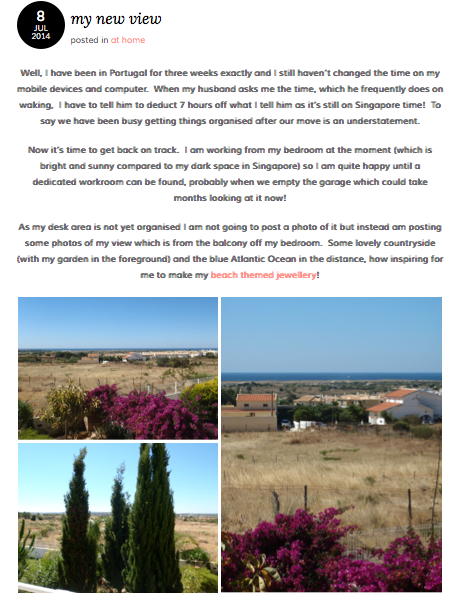 Some pics of her place in Portugal that Cath shared on her blog. I wanted to keep the blog simple, in keeping with me and my philosophy in life: live each day as it comes and make the most of it! And I wanted to be true to my readers, not pretend to be someone I’m not. Many of my followers are now customers (which is wonderful!) and I think they appreciate the fact that I am myself and the brand has a personal touch. From time-to-time I have a mental block when it comes to what to post. These are the times I can rely upon my jewellery to help me out – by posting some lovely photos that I have already taken and a few short words. Although I don’t want to bore people with too many jewellery posts, I think to myself “well it’s my blog and it’s linked to my shop so there is bound to be some mention of jewellery in there!” It’s a hard balance, one that I probably haven’t got right just yet! The other challenge is again, finding the time and space to just write. I have all sorts of ideas about what to post in my head when I wake up, and then go to bed the same day without having even sat at the computer – aggravating! What would you say to a small biz owner a little nervous about blogging (ie. not sure if they should do it) or struggling with it? Don’t let the challenges put you off if you are considering starting a blog. I would recommend it whole-heartedly if you want a platform for showcasing your talent/knowledge/product. As I mentioned before, some of my readers have become my customers (and friends) and that would never have happened if I had not started my blog. What’s next for you and your biz? The last few weeks saw me relocating, yet again, to Portugal, where I intend to stay for a while! Having the blog and shop online have made the transition so easy, all I had to do was change the shop location and the postage amounts on my listings. The hard part was carrying all my stock and beads half way around the world! Once I have settled in properly to life here (although with orders still coming in weekly I have had to get myself organized pretty quickly) I will concentrate on my blog’s appearance, looking into retail outlets where I can sell my jewellery and continue making the jewellery which I love to create! Get creative and think outside the box. Share whatever is happening with you or your biz – not all of your posts need to be super long, educational type things. Be patient with yourself, whether it’s figuring out the ins and outs of actually posting a blog, or developing your writing chops. Blogging is a skill and it takes practice! Get personal! Don’t be afraid to share a little more about yourself or the running of your business. It’s what helps your reader feel a connection to you. 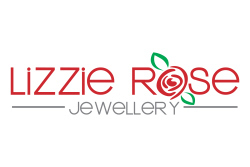 Find Lizzie Rose Jewellery online at http://lizzierosejewellery.com/ or via the etsy shop or connect with Cath on social media: Twitter, Instagram, or Pinterest. On to you. Do you blog for your business? What kind of content do you post? Feel free to leave a link to your blog or your favourite post in the comments so we can check you out. Do you have a story that you would like to share about your business that you feel would assist or inspire other small biz owners? A marketing tactic that worked like a charm? I would love to feature you – real life stories and examples are so helpful for all of us entrepreneurs! Get in touch with me. Previous post: Small business by the numbers – how do you measure up?